Green Theory’s food is delicious and great for vegetarians and also offers plenty of vegan options. And the location, off the busy Residency Road is also quiet and quaint. 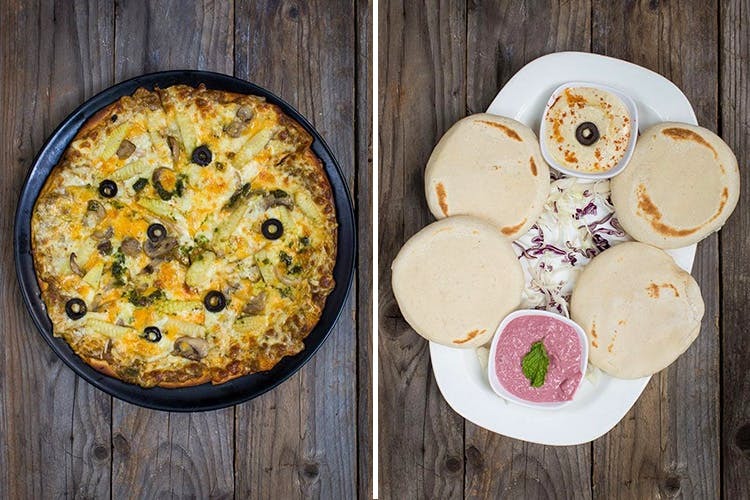 For vegetarians who are looking for choices that go beyond the usual paneer butter masalas and the dum aloos. Green Theory is set inside a neat little bungalow. The indoor seating area is actually set up in different rooms of this house and gives you enough privacy. But I love the outdoors garden area, which is really pretty and has a laid back charm. The cafe is perfect for an intimate setting and encourages conversation. Maybe it’s even a little romantic. It’s perfect for taking those people whose company you just want to enjoy. It’s the kind of place that makes you want to have your lunch and turn it into a luncheon. Don’t forget to check out Green Theory’s awesome bakery.